'Logan:' What's Wrong With Wolverine's Incredible Healing Powers? The mutant known as Logan has lived almost 200 years and was seemingly immortal — so why is he old and struggling to heal in his latest movie? At the start of “Logan,” the mutant formerly known as The Wolverine has seen better days. The James Mangold film kicks off with the titular superhero (played by Hugh Jackman) catching a shotgun blast at close range after trying to stop gang bangers from stealing the rims off the limousine he drives. Usually this wouldn’t be a problem — Logan has taken quite a few gunshots before. His body’s mutant powers heal him almost instantly, and his skeleton is coated in a nearly indestructible fictional alloy, adamantium. What’s more, because his healing ability also affects the aging process, Logan has looked the same age (early 30s at most) for more than 100 years. In short, he’s been basically unkillable throughout the various “X-Men” films. But this time, things don’t work quite as well. Though Logan survives the blast to the chest thanks to his adamantium innards, the wound heals at a dramatically slower rate than in the past. And more importantly, he looks like an old man. It seems that Logan’s mutant powers are drying up. The first answer could be that Logan’s powers were sapped at the conclusion of “The Wolverine.” In that movie, a man who knew Logan in 1945, Ichiro Yashida, has become a powerful industrialist in the 2010s. He saw Logan’s powers first hand — at Nagasaki, when the atomic bomb was dropped. Logan saved Yashida’s life by pulling him into a well where Logan was being held at a Japanese prisoner of war camp. The blast burned Logan, but he healed immediately, right in front of Yashida’s eyes. Decades later, Yashida wants Logan’s immortality for himself. First he offers to take it from Logan to release him from the guilt and torment he suffers from never dying. Logan refuses, and at the end of the movie, Yashida uses a giant samurai robot to take Logan’s powers by force. Yashida succeeds in draining some of Logan’s healing ability before he’s killed. So it could be that Logan never fully recovered from the effects of that drain. Yashida was able to steal enough of Logan’s healing power that he lost his immortality after all. However, while that explanation would make some sense in terms of the “X-Men” continuity, it seems like the films may have already disallowed for that version of events. “The Wolverine” was released in 2013 — followed by”X-Men: Days of Future Past” in 2014. 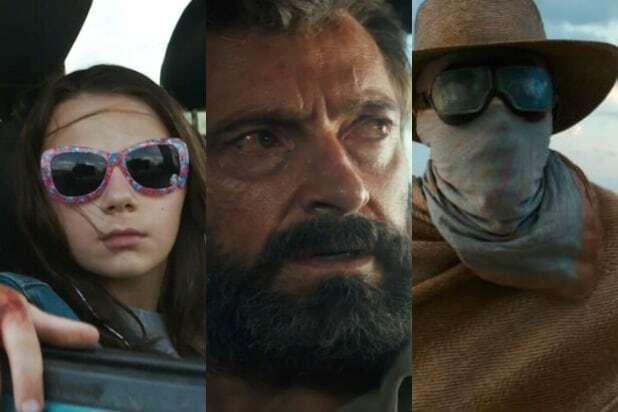 In that movie, Logan travels back to 1973 and alters history in order to prevent mutants from being wiped out in the future. In doing that, he rewrote the timeline of events that completely altered the first three “X-Men” films, plus erasing all the stuff that happened to Logan in “X-Men Origins: Wolverine” (read more about the implications of that time shift here). It seems entirely possible, and probably likely, that Logan never lost his healing powers to Yashida in the altered timeline. So why is Logan unable to heal himself? The answer “Logan” seems to be pushing comes from some of the “X-Men” comics, and has to do with his adamantium-coated skeleton. In some stories, all the adamantium that makes Logan’s bones nearly unbreakable and his whole body pretty much impervious to bullets also poisons him. Like having a skeleton coated in lead, the metal leeches into Logan’s body over time. It takes years to have a major effect, but by 2029, the year “Logan” is set, the adamantium has so weakened Logan that he’s aging at a normal rate and struggling to heal himself after injuries. There are a couple of lines in “Logan” that suggest this is the case. At one point, Logan finds himself at a doctor’s office after being hurt. The doctor notes that “something inside” Logan is “poisoning him.” Logan responds by saying he knows what it is inside him that’s killing him. Adamantium poisoning as a reason for Logan’s diminished healing factor works well with the themes in “Logan.” The movie is about finality and, often, despair. 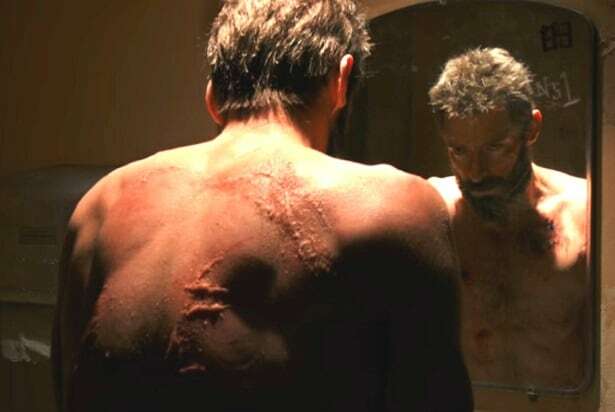 If Logan’s healing factor was something taken from him by mutant or scientific means, as in “The Wolverine,” that might suggest it’s something he could get back. But it fits much better with the film that the thing killing Logan is, simply, being Wolverine. Though he tries to run from his past of being a superhero, Logan can’t escape it. It’s inside him, for better or worse.